From airplanes to oilfields, billions of dollars are on the line for international corporations as President Donald Trump weighs whether to pull America out of Iran’s nuclear deal with world powers. The 2015 Iran nuclear deal lifted crippling economic sanctions that had locked Iran out of international banking and the global oil trade. In return, Tehran limited its enrichment of uranium, reconfigured a heavy-water reactor so it couldn’t produce plutonium and reduced its uranium stockpile and supply of centrifuges. For Western businesses, the deal meant access to Iran’s largely untapped market of 80 million people. Most prominently, airplane manufacturers rushed in to replace the country’s dangerously dilapidated civilian fleet. 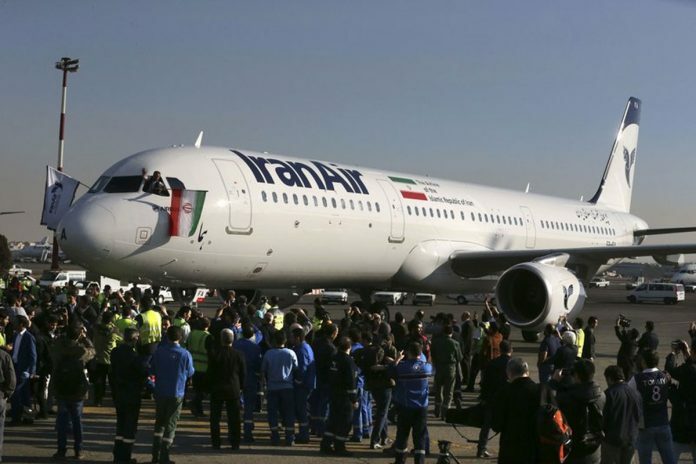 In December 2016, Airbus Group signed a deal with Iran’s national carrier, IranAir, to sell it 100 airplanes for around $19 billion at list prices. Boeing later struck its own deal with IranAir for 80 aircraft with a list price of some $17 billion, promising that deliveries would begin in 2017 and run until 2025. Boeing separately struck another 30-airplane deal with Iran’s Aseman Airlines for $3 billion at list prices. But Boeing has yet to deliver a single aircraft to Iran. The Chicago-based company’s CEO recently stressed it understands the “risks and implications around the Iranian aircraft deal,” which would be the biggest business agreement between an American company and Iran since the 1979 Islamic Revolution and U.S. Embassy takeover. Airbus declined to comment when asked by The Associated Press about its possible plans ahead of Trump’s decision. European airplane manufacturer ATR struck a $536-million deal with IranAir for at least 20 aircraft last year. It’s already has delivered eight of its twin-engine turboprops to Tehran after earlier winning permission from the U.S. Treasury. “To date, we are on track to deliver the remaining ATR aircraft in due time, before the end of the year,” ATR spokesman David Vargas told the AP. The speed at which Western airplane manufacturers went into Iran is contrasted by a slow start by Western energy firms despite the country’s vast oil and gas wealth. The exception is French oil giant Total SA, which in July signed a $5 billion, 20-year agreement with Iran and a Chinese oil company to develop the country’s massive South Pars offshore natural gas field. The natural gas pumped by the deal will go toward Iran’s domestic market. “If the framework, the rules of the game, change, of course we will have to re-evaluate,” Pouyanne told the Financial Times. French carmaker PSA Peugeot Citroen reached a deal in 2016 to open a plant producing 200,000 vehicles annually in Iran. Peugeot, once a major player in Iran’s car market before sanctions, did not respond to a request for comment. “The Renault Group is closely monitoring the evolution of the diplomatic situation,” the company said in a statement to the AP, without elaborating. “This should include a series of exemptions and carve-outs for European companies already involved in strategic areas of trade and investment with Iran, with the priority being to limit the immediate shock to Iranian oil exports,” she wrote Wednesday.